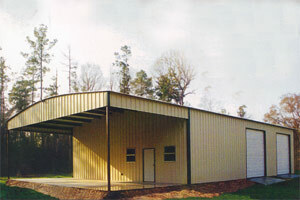 The above is an example of a enclosed building with a continuous roof. W.D. 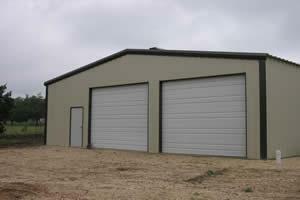 Metal Buildings continuous style roof is designed with continuous roof sheets. 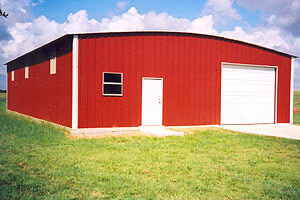 Example a 40 ft. wide buildings will have 42 ft. sheets with no ridge cap. Available on 30', 35', 40' widths. The above is an example of a enclosed building with a pitch roof. W.D. 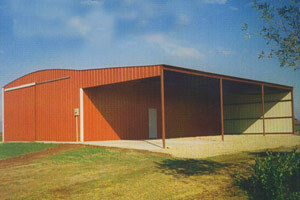 Metal Buildings 2:12 pitch roof is designed with two half sheets covered with a flat ridge cap. extensions include a 2 foot skirting as seen here. a walk door and two windows. on the side under the lean to.